Belanger is a full-line car wash equipment manufacturer whose offerings maximize wash bay Profit-Per-Foot. Whether it’s a tunnel car wash, touchless or soft-touch in-bay automatic, drive-through wash or large vehicle wash, Belanger car wash equipment features low maintenance requirements, exceptional cleaning performance, and high revenue potential. For the past 30 years, PDQ has provided the car wash industry with cutting-edge technological advances in car wash equipment and car wash systems, including the first contouring arch and the Virtual Treadle.PDQ has always been recognized as the world-leading manufacturer of touchless car wash equipment with one of the most powerful names in the industry - LaserWash®. That same energy and passion that we bring to the touchless industry is being unleashed onto the friction market with our ProTouch® line of in-bay automatic brush equipment. Ingersoll Rand's diverse and innovative products range from complete air compressor systems, tools, ARO pumps, material handling systems and more. Ingersoll Rand provides products, services and solutions that enhance our customers' energy efficiency, productivity and operation. PurClean is the professional's choice for delivering a spot-free car wash, every time. The PurClean system utilizes the process of reverse osmosis to eliminate the mineral content in the water. PurClean Spot-Free Rinse system addresses water hardness, operates efficiently and cost effectively while eliminating the need and upfront cost of a water softener as well as the ongoing expense of softener salt. The PurClean systems effective use of pure mineral-free water delivered to the vehicle as a final rinse allows the entire vehicle to dry perfectly spot-free eliminating the need to costly and time-consuming hand drying. Unitec develops, manufactures and services automatic payment stations for unattended car washes. Their technology enables car washes to run 24/7, helping owners increase revenue and improve their marketing at the same time. 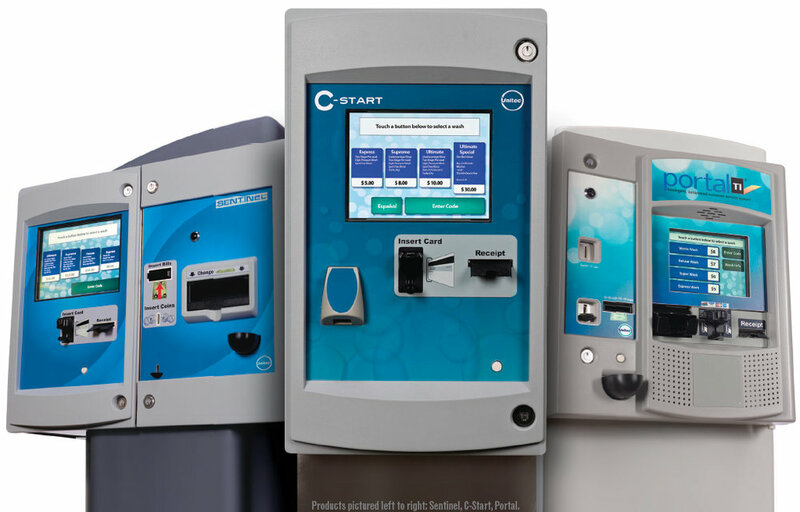 From swipe-and-go credit card kiosks to internet-enabled touch screens integrated with fuel pumps, Unitec machines work in any environment, with any type of car wash control system. They design custom solutions, as well. J.E. Adams has been producing high-quality self serve car wash equipment, pressure washing products, and mist cooling solutions. They provide high-quality self service car wash equipment including vacuums, combo units, air machines, detail stations, islands, canopies, and much more!